LEWISVILLE, Texas, July 27, 2017 – Wholesale foods distributor Sirna & Sons Produce provides fresh fruits and vegetables direct from growers to restaurants, healthcare facilities, hotels, country clubs and institutions across five states. Placing a high priority on quality, freshness and timely deliveries, the family-owned company targeted a multi-faceted expansion of its headquarters and distribution facility in Ravenna, Ohio in the summer of 2016. The project provides over 43,000 additional square feet of refrigerated warehouse and over 12,000 square feet of office space. Project Manager and Designer Nik Sirna, Peninsula Architects, was challenged to create a budget-friendly plan that blurred the line between the modern and industrial aesthetic, while implementing innovative, sustainable building elements to meet the demanding performance requirements essential for cold storage facilities. "The owners asked for their facility to look cutting-edge, modern and industrial — all while being functional and maintaining a budget," Sirna says. 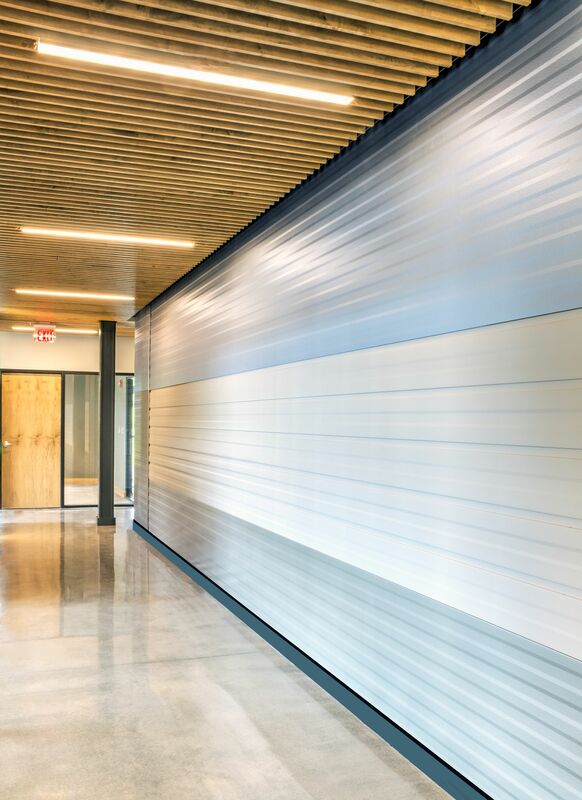 The design team relied on Metl-Span's insulated metal wall panels for the building envelope. Available in multiple thicknesses, the product's factory foamed-in-place polyurethane core achieves the high R-values necessary in cold storage construction, an industry where temperature objectives can range from 50 degrees to minus 30 degrees Fahrenheit, according to Sirna. 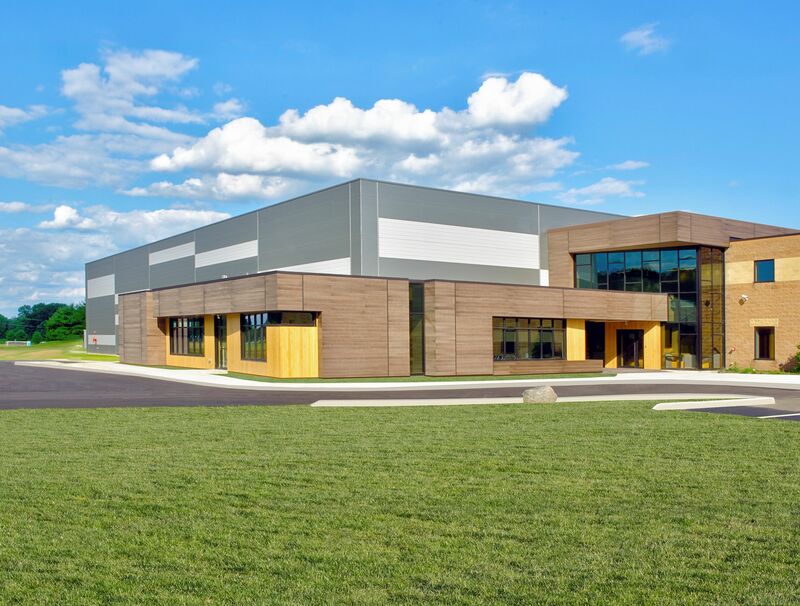 "I landed on Metl-Span as a convenient product to achieve a high-performance insulated warehouse with relatively quick installation and pricing within our original design budget," Sirna says. 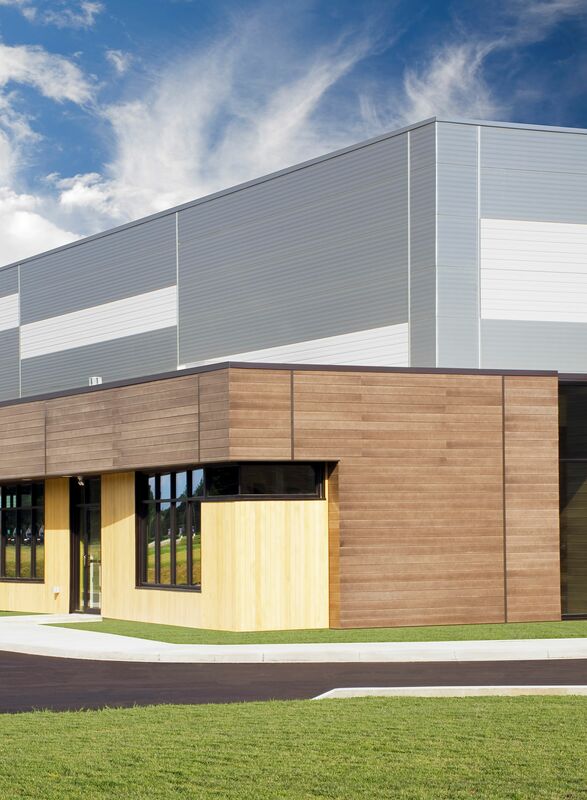 "This was our office’s first introduction to insulated metal panels." All told, Peninsula Architects specified approximately 52,000 square feet of Metl-Span 4-inch, 26-gauge insulated metal panels (IMPs). The product provides thermal efficiency and all-weather control in a single component. The highly efficient insulation delivers an added advantage by minimizing building energy usage and construction costs. The product's unique foam core even allows the performance of the insulation’s R-value to increase as the core temperature of the panel decreases. "The perks of Metl-Span [products] are really multifaceted," Sirna says. "The product is easy to use, the construction methods are efficient and it acts as both your exterior and interior finished walls. The thermal performance is ideal for this type of application." 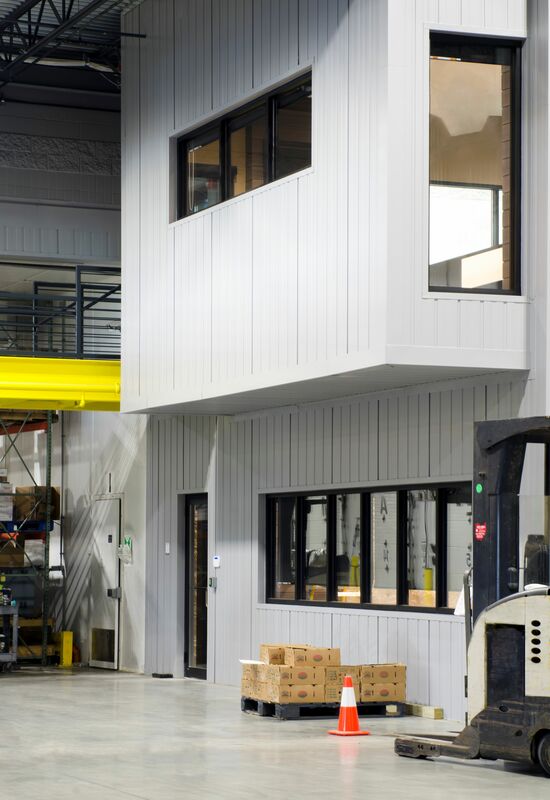 Conventional, multi-component building envelopes address the critical weather barriers with multiple product sources and installation steps, leading to an overly complex wall assembly and lengthy construction schedules. IMPs provide the same performance elements in a single, easy-to-install component. The end result is a more efficient building envelope that impacts everything from interior trade coordination to the bottom line. "It is a much more expensive undertaking to build a wall, insulate it, then finish it out on the interior," Sirna adds. Metl-Span's high-performance insulating core is sandwiched between impermeable steel exterior and interior faces. Sirna was impressed with the product's dual interior and exterior functionality, and made good use of the standard interior color of Igloo White. "The insulated panels are exposed on the interior and function as the interior cooler walls," he says. "This allowed for simple, one-time wall installation for both interior and exterior. The panels are also exposed in areas of the office enhancing the industrial aesthetic we were trying to achieve." Sirna targeted the street-front façade as the project's aesthetic focal point and the ideal location to drive home the owner's goal of modern and utilitarian design. He accomplished this task by blending multiple panel profiles and colors. Metl-Span's CF Mesa and CF Light Mesa panels provide a lightly corrugated profile with a flat appearance — complemented by the ribbed CF Flute panels and their distinctive bold, vertical lines. Metl-Span CF wall panels can be installed vertically or horizontally with concealed clips and fasteners in the side joint. The double tongue-and-groove joinery allows for simple and easy integration of multiple profiles. The facility’s bold aesthetic is heightened with dynamic color choices, including the soft Tundra gray and pearlescent Weathered Zinc. "I tried to mix and match colors and panel types, wanted to miter the corners, and was intrigued by installing the panels horizontally to enhance the street presence," Sirna adds. The new and improved Sirna & Sons headquarters and distribution facility opened in June 2017, just a year after breaking ground.